The word literally means communion. That is, to share common interests and new things with one another. A popular illustration of fellowship is the barbeque grill. 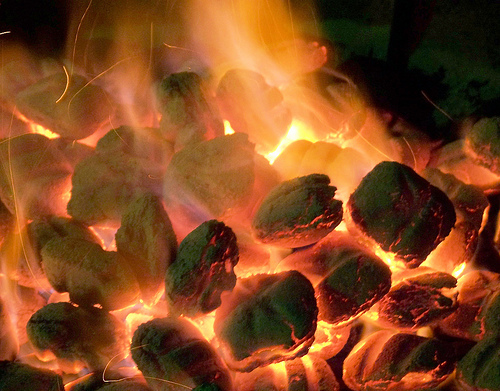 When the briquettes are stacked near to each other—touching one another—the fire is built and the coals feed off of one another. But the moment one of the coals rolls off to the side is the very moment that it begins to cool down and eventually go out. It is not that it has lost the nature of being a coal, but that it needs to be recovered and reunited to regain its flame (light). Fellowship can never be stressed enough and collectively, it can be manifested in many ways; for instance, meals, one-on-one meetings, bible studies, games, activities, and sharing our lives with each other just to name a few. In the days of the Lord’s ministry on earth we find that He modeled biblical fellowship on a daily basis. He would pray in the morning, meet with others from city to city, preach wherever the opportunity arose, meet specifically with people to confront their spiritual need, have meals in different homes, teach from the Old Testament, and end the day with prayer. This simple model teaches us that true biblical fellowship is relational. We relate to God in prayer and the carrying out of His work in the world. We relate to people through love, caring and the sharing of our lives—especially His life which results in the fellowship that He desires to have with all people Acts 2:42. When hearts are revived and lives are changed through the touch of the Father, the love of the Son and the filling of the Holy Spirit, true fellowship will be the result. A church can use the measuring stick of fellowship to see just how close to God they are growing. But remember it is not just a meal every once in a while—it is also prayer, missions, selfless actions and fervent bible study that characterize the health of a church body and these are all products of koinōnia - fellowship.